Hey friends! 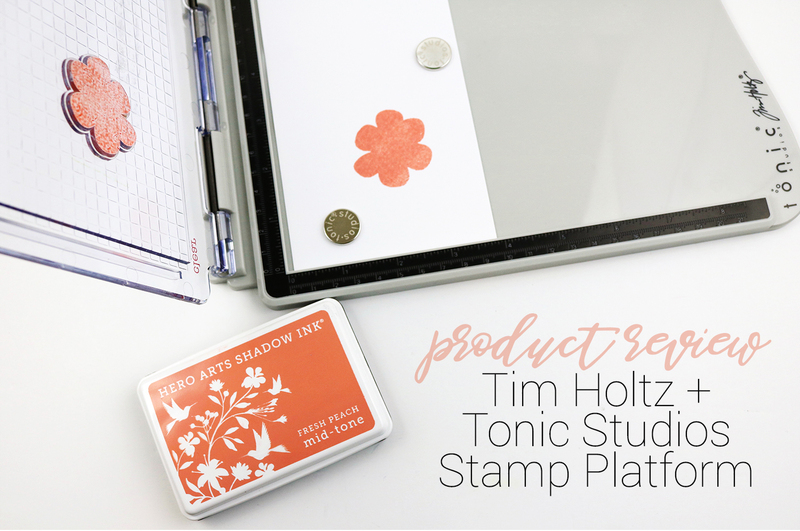 I was lucky enough to receive the new Tim Holtz + Tonic Studios Stamp Platform this week to test and try out (sent from Tonic Studios and Scrapbook.com, but the opinions are my own). I was super excited and immediately said yes because I've been eyeing all of the stamp presses on the market and really liked what I saw demoed by Tim at CHA (I watched this video and this video on YouTube). I had lots of fun playing with it and made a little video showing you all the details + a layout that I created using it. Double stamp - This could be to get a more solid image, to get a darker ink color, or for when I mess up! When using fineline images, it's really hard to get them lined up if you need to stamp it twice, so this tool will save you if you find you do that a lot! 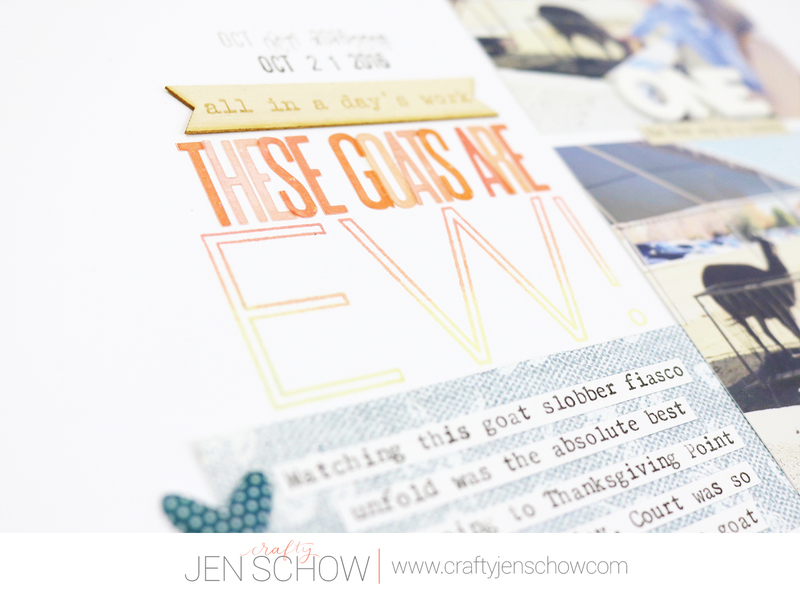 Blend dye inks - I often stamp the same image in different colors on top of each other to create a shade that matches my embellishments or patterned paper, as shown in the video. Stamp on the background of a layout - This is especially important to me when I decide to add stamping when a lot of the page is assembled already. Ombre effects without ink contamination - I show this in the video as well, but it's really easy to ink up half the stamp with one color, stamp it (multiple times if needed) and then clean your stamp and ink the other half of the stamp with another ink color. Here is the layout I created using these techniques. First, I created several flowers and leaves using a Hampton Arts stamp set (all available products linked below) and a few different ink colors to get the color I wanted. You can get a good look at the fineline stamps on top of solid images. I stamped them three times so they would be dark enough and the lines are still clear. Love that! I also decided to stamp my title on the background of my layout using an ombre technique. I also stamped the title several times and the lines are still crisp. The best. And I wasn't worried about messing it up on my half-completed layout. 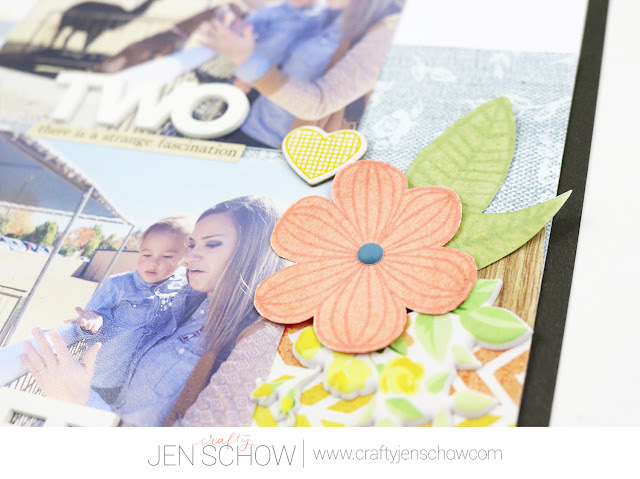 The platform is 8 1/2 inches square with an open edge so you can definitely stamp anywhere on a 12x12 layout. Which is awesome for me. The clear stamping swing arm thing is easily adjustable for clear stamps or rubber mounted stamps. Although I don't have any rubber mounted stamps in my stash anymore, I can see how this tool would be invaluable for double stamping if you use them often! It's slim and fits on my desk easily! If you're in the market for a product like this, I definitely recommend it! 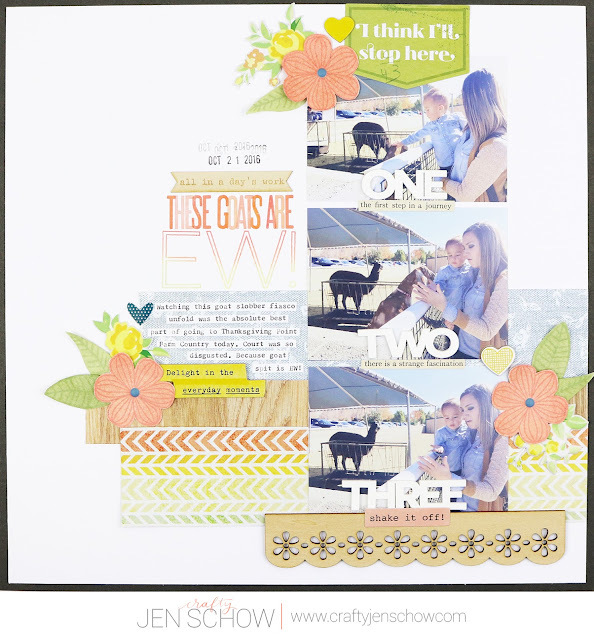 As I'm writing this blog post, it's not in stock on Scrapbook.com, but should be soon here and you can click "Notify Me" so you don't miss out! Thanks so much for stopping by and let me know if you have any questions! Brilliant post as well as review! This review could not have been better than this! Loved reading it and enjoyed thoroughly. Thanks for posting this.